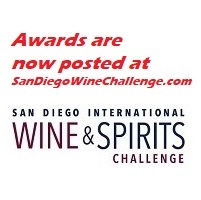 One of my perks as Director of the three international wine “challenges’ staged annually in San Diego is the opportunity to taste standout wines that have been pre-screened by respected wine professionals. 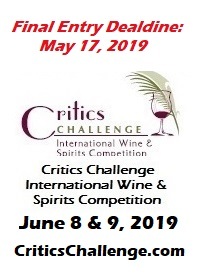 The Critics Challenge, Sommelier Challenge and Winemaker Challenge are wine competitions with one thing in common: Each is judged by experts in their respective fields. Over the course of each Challenge I make it a point to taste every wine awarded a platinum medal. While I am seldom disappointed, personal favorites do emerge. As I look back on my tasting notes from the 2014 Challenges, the following 12 wines stood out to me as most memorable from the past year. Barboursville 2010 Octagon, Virginia ($55) – Virginia was one of the first places in America to attempt viticulture, and Thomas Jefferson lead the charge to make fine wine there. A couple of centuries after TJ the idea is finally gaining traction. Virginia wine is on the rise and Barboursville is at the forefront of the trend. It’s red meritage blend, Octagon, is probably the finest Bordeaux-style blend made on the east coast, and rivals many of the finest made in California. This one is a beauty. Chateau Paul Mas 2013 Clos de Devignac, Gres de Montpelier, Coteaux du Languedoc, France ($25) – A platinum award-winner at the Sommelier Challenge, this Rhone-style blend is an impressive example of the amazing red wines now being made in the Languedoc region of southern France. It is not only as good as most red blends from the southern Rhone, it’s one of the finest $25 bottles of wine in the world IMHO. Chateau St. Jean 2010 Cinq Cepages, Sonoma County ($75) – When I tasted this platinum winner during the Sommelier Challenge I couldn’t help but marvel at its completeness. It’s a wonderful Bordeaux-style blend that has been a rock of consistency through the years. Never overdone or out-of-balance, Cinq Cepages is among the top red wines produced in America year after year, and 2010 was no exception. Dutton-Goldfield 2010 Chardonnay, Rued Vineyard, Russian River Valley ($50) – Too often California chardonnay gets a bum rap for being overblown and too heavily oaked. While there are plenty of California chards that fit that description, there are plenty that exhibit and structure equal to the finest white Burgundies. This one received a 100-point score and was named Wine of the Year at the Critics Challenge. Frogtown Cellars 2010 Bravado, Lumpkin County, Georgia ($21) – Winemaker/owner Craig Kritzer is among the most innovation vintners in the U.S. His “Bravado” is a red that would qualify as a so-called Super Tuscan-style blend (sangiovese and either cabernet sauvignon or merlot) except that he also adds a bit of tannat, a grape generally found in southwest France. Not many vintners dare plant tannat because it can produce harsh, unpleasant tannins. 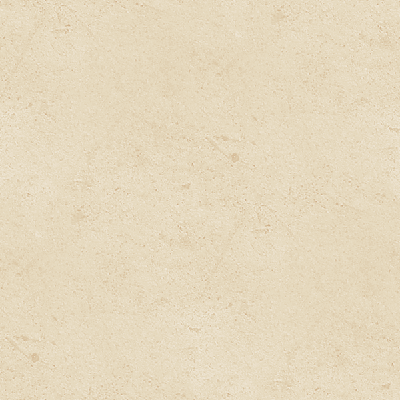 But it works with Frogtown’s Bravado and impressed judges at the Critics Challenge enough to earn a platinum medal. Handley Cellars 2010 Pinot Noir, RSM Vineyard, Anderson Valley ($52) – Milla Handley has been making seriously good wine in Mendocino County’s Anderson Valley for more than three decades, but this Pinot was off-the-charts good, easily the most memorable Handley wine I’ve ever tasted. Halter Ranch 2013 Rose, Paso Robles ($21) – Though this property is best known for its rich, powerful red wines, this dry rose is a stunner and impressed the judges at Sommelier Challenge enough to earn a platinum award. It shows subtle red-fruit aromas and a hint of savory herbs. Hawk & Horse 2010 Cabernet Sauvignon, Red Hills, Lake County ($65) – Proprietor Mitch Hawkins has been producing sensational cabernet for a number of years but this may have been his finest. Judges at the Sommelier Challenge gave it a whopping 98 points. The Red Hills district of California’s Lake County is north of the Napa Valley. The same quality in the Napa Valley would probably fetch twice the price. Inniskillin 2012 Vidal Icewine VQA, Niagara Peninsula, Canada ($65) – Wine of the Year at the Sommelier Challenge, this rich, complex dessert impressed the sommeliers with a score of 99 points. Vidal is a white hybrid grape generally only seen in the eastern and midwestern United States. The wine shows aromas of honey and stone fruits. La Rochelle 2012 Pinot Meunier, Saralee’s Vineyard, Russian River Valley ($38) – Winemaker Tom Stutz is one of the most accomplished winemaker’s in California history. Years ago he made sensational wines for Hanzell, then moved on to a longtime association with Mirassou. In recent years he has been making the La Rochelle wines and this pinot meunier marks one of his finest moments. This grape is typically used to blend with sparkling wine and is seldom made as a table wine. It’s a fragrant, delicate red that is dazzling as it is subtle. Moet & Chandon 2006 Grand Vintage Brut, Champagne, France ($60) – Long one of the leading Champagne houses, Moet & Chandon seems to have kicked it up another notch in recent years. The 2006 is a beautifully structured Champagne with tremendous complexity and the potential to improve with age. The price is more than fair for a top-notch vintage brut. Rocca Family Vineyards 2010 Cabernet Sauvignon, Yountville ($85) – The Yountville AVA (American Viticultural Area) is relatively new. This carve-out in the southern end of the Napa Valley has been producing exceptional cabernet for decades, however, and Rocca Family’s 2010 is a splendid example of the richly textured, supple cabernets the area is known for.